This time I want to share with you my favorite 20 bags styles for everyday wear. There are so many styles to choose from right now. Sure, it can be quite difficult to choose the one that will ideally fit the most of your outfits and lifestyle. Before we move on, I want to say one thing: no single bag is ideal. There will always be some details that can easily annoy you. An everyday purse needs to have enough pockets, interior room and comfortable carrying handle. Trust me, your look is incomplete without a good everyday bag. Young lady looks classy wearing a black T-shirt tucked in high-waisted brown suede A-line skirt. The outfit is completed with black leather structured bag accessorized with black-white printed scarf. Sometimes I think to myself: I wish I had a smaller office tote! 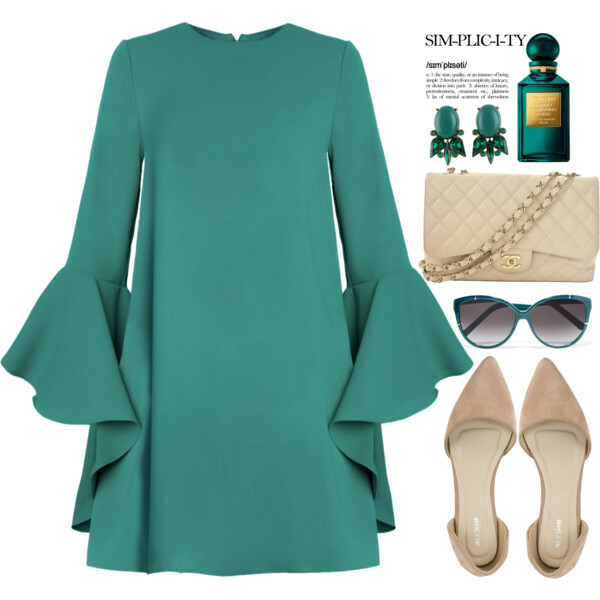 Hello ladies, in today’s blog post I want to share with you a fabulous street style inspiration of everyday clutches. This beautiful accessory is ideal for those days when you just want to run out the door without carrying a massive bag on your shoulder that will weighing you down. You might think that a clutch bag is a bad idea for wearing to work, but I’ve got awesome styles to share with you. Lots of brands offer us sleek, oversized and mid-sized clutches for carrying all your essentials in one place. This accessory comes in modern shapes, it does looks minimal and it looks different. Another great plus of this bag is the following: it forces you to carry fewer items. I rounded up my favorite designs that will make you look chic and trendy. Scroll down to find out more and let me know your thoughts in the comments below. We see a fabulous dark blue leather clutch styled with an orange sleeveless top teamed with pleated rich blue trousers. Clutches are the perfect accessory for a night out or evening event. In today’s blog post I gathered chic and elegant styles that will serve you a very long time. Indeed, all these clutch bags withstand the test of time. All you need is to choose an appropriate design to match your outfit. I think this accessory is a symbol of evening elegance. That’s why every woman needs at least one clutch purse in her life. Of course, you should be very cautious in selecting the right style, as it is a reflection of your personal style. We see a quilted golden mini clutch styled with a golden sequined draped blazer worn atop black romper. Complete this evening look by adding chunky golden necklace and matte black pumps. I looked through your requests, asking me about my favorite bags. In today’s post I want to share with you best styles to try now. If you are on the hunt for new handbags to add to your new collection this season, I’ve got you covered with some gorgeous designs. Of course, every lady’s budget is different, that’s why I tried my best to share with you all kind of designs. Be honest with yourself and be smart about how you are spending your money. Keep on scrolling down to check out my favorite bags to grab now. I highly recommend this bag for anyone who wants to carry all stuff in one bag. This blush colored big purse will ideally compliment your pastel blue trench coat. I promise, you will certainly get a lot of use out of it. It’s winter baby, so you better be ready for it! Today’s post is all about my favorite Winter bags to wear in your everyday street walks, as well as to parties and work. You are about to see statement bag must-haves, including fur creations, spacious handbags, metallic hue clutches, structured totes, bold colors, fur clutches, vintage purses, etc. I am pretty sure, each one of these statement bags will jazz up your winter wardrobe. I never have seen so many interesting styles before. Believe me, each one of these creations is a perfect finishing touch for any outfit. I see many new designers who bring fresh new ideas, by offering us exciting purses, clutches and everyday bags completed with incredible embellishments and details. Personally, I am in love with all these furry creations. Anyway, let’s have a look through all these street style images and find our favorites. 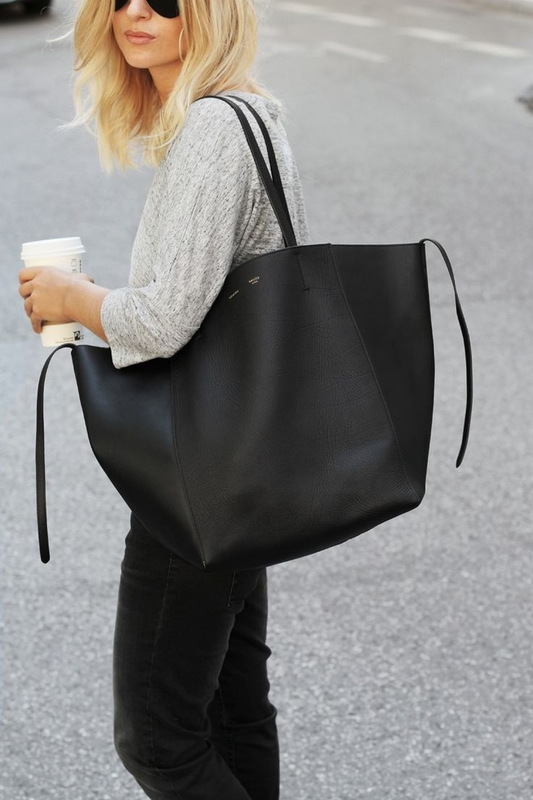 Make a real statement by wearing this matte black leather tote bag. It looks awesome with casual, as well as with office style outfits. Any handbag can enhance an outfit and define wearer’s style. It can break or make your look. In today’s compilation I decided to share with you my favorite bags for casual walks on the town. Before you choose one of these designs, it’s very important to think about which one of them can complement your personal style. In this street style compilation you are about to see structured shoulder styles, slouchy oversized, tote backpacks, polished totes, hobo designs, casual messengers, cross body bags, spacious satchel bags, miniature shoulder clutch-bags, cool bucket bags, etc. If we talk about casual walks on the town, then you need a bag that will carry all your stuff, from cellphones and wallets to laptops, PC tablets and perfume. There are plenty of creations to choose from, all you need is to find the one that will compliment your outfit. Anyway, just scroll down to see my favorite bags to try on next week. Keep your outfit casual and relaxed, but your bag structured. We see Kendall Jenner in a white tank top styled with blue ripped skinnies tucked in suede boots. The outfit is completed with a shoulder miniature bag.